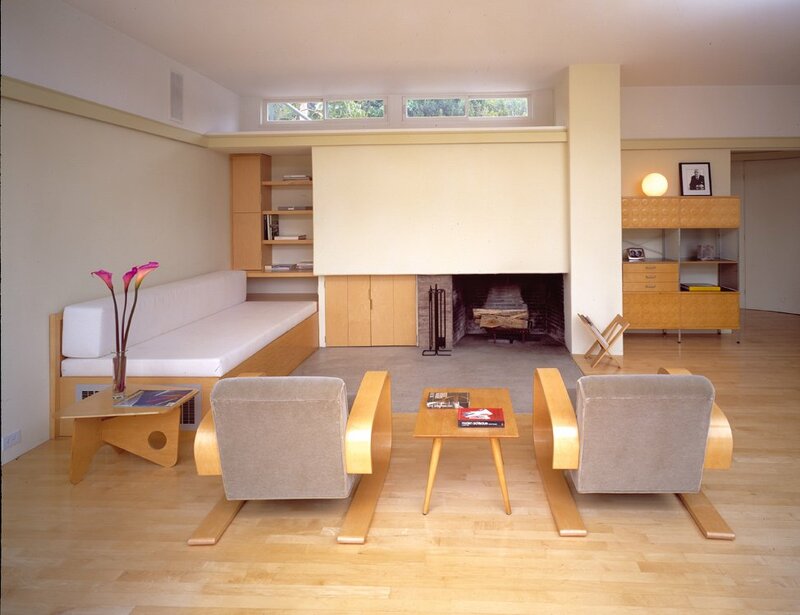 John Entenza is a very important figure in the history of mid-century modern architecture. As editor of Arts & Architecture Magazine from 1938 onwards and creator of the iconic Case Study Houses Program, he was instrumental in positioning the magazine as one of the major champions of mid-century home design in the United States. During this period, the magazine was the first to introduce to a mass audience many of the leading lights of the mid-century modern style. 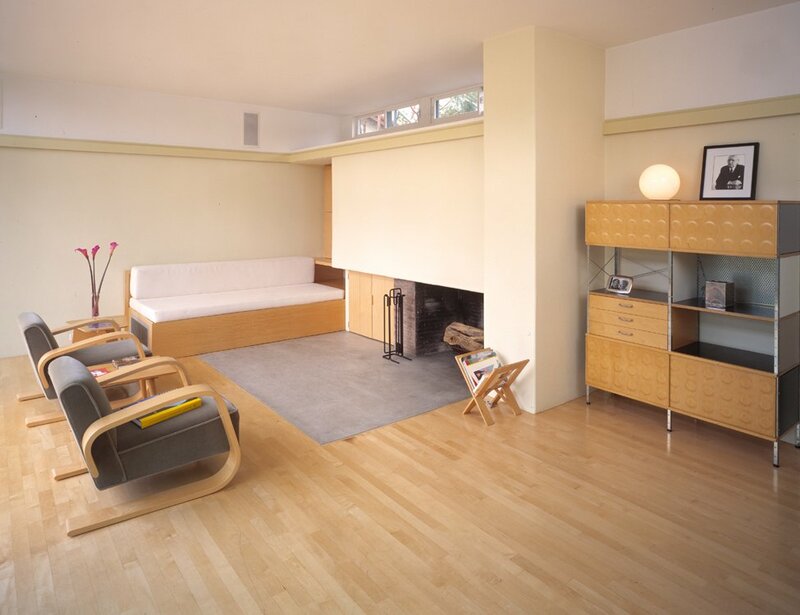 These included Hans Hofmann, Craig Ellwood, Margaret DePatta, George Nakashima, Bernard Rosenthal, Charles Eames, Konrad Wachsmann, Jan De Swart and many others. Here, we have the house that Entenza lived in from 1937 to 1949, in the real sweet spot of his work promoting the mid-century style. 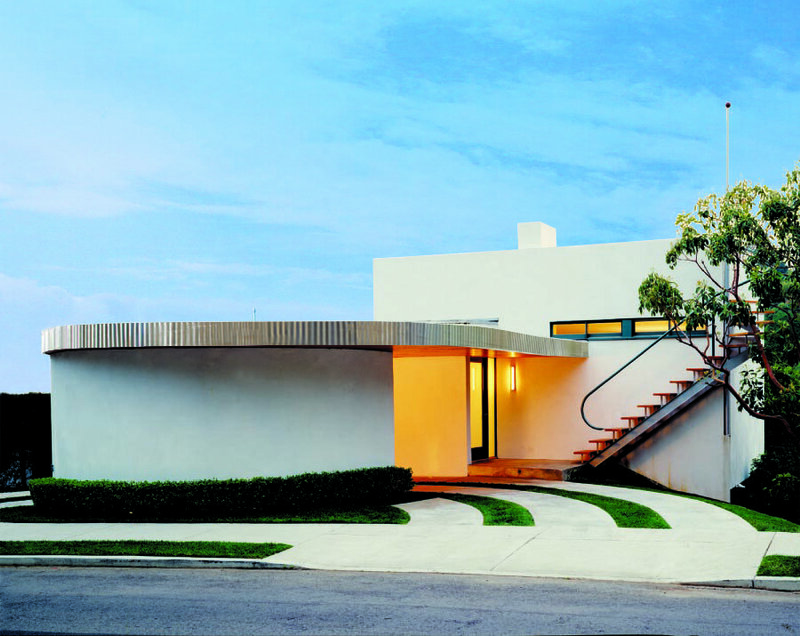 Designed by Harwell H. Harris, the 850-square foot home is located in Santa Monica. Given its advanced age, you would expect to something which is almost on its way out. Yet the pictures reveal a house that looks as fresh as the day that it was finished 80 years ago. This is thanks to a recent restoration of the home, carried out by Michael W. Folonis Architects. With that intent in mind, Folonis and his team considered how new design could be integrated into the Harris’ original vision, thoroughly studying the architect’s work, including the original drawings, pulled from the University of Texas at Austin archives. 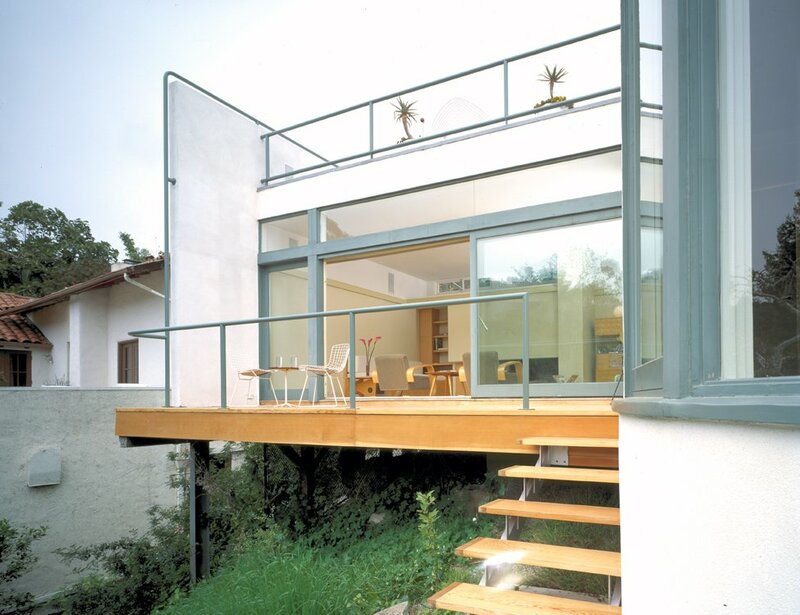 What is particularly nice to observe is the overall consistency of the home’s design. This is particularly evident in two elements depicted in the pictures. Firstly, the pairing of just a few simple colours: grey for the borders, window frames and the odd interior design flourish; white for the walls; and light brown for the lovely wood which features throughout the house. And secondly, in the emphasis on curves: in the furniture in the living room, the exterior wall, and the lawn (bisected with hardscaped curves). In discussing the house, Folonis is keen to point out the historic significance of the house. This is pretty reasonable. After all, this was most likely the birth place of the pivotal Case Study Program. 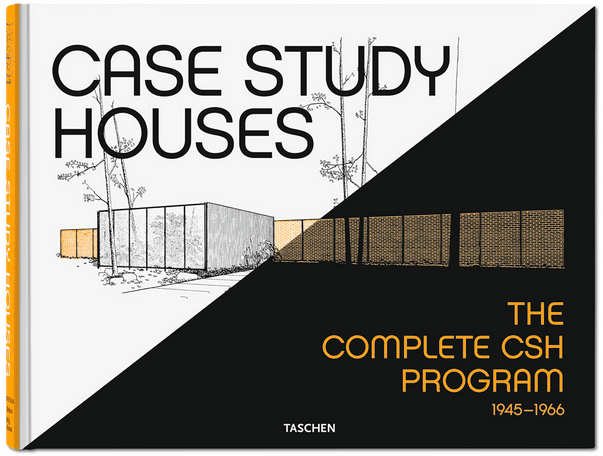 As well as supporting the project, Entenza also made one of the earlier homes produced in the series his subsequent residence, Case Study House #9 (designed as a collaboration between Eero Saarinen * Associates and Charles & Ray Eames). But even without this historical significance, it is clearly a delightful home to behold.